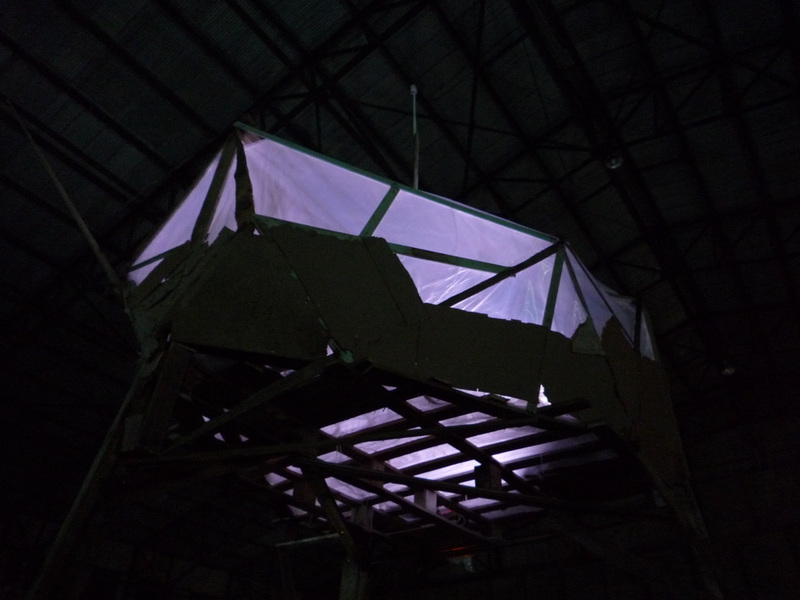 BEAGLE 3 is an outlandish looking video sculpture the exterior of which reminds the viewer of marsians, treehouses and raised hides. The light play is accompanied by a soundscape of tempests and of a ship in heavy weathers sending out morse signals. 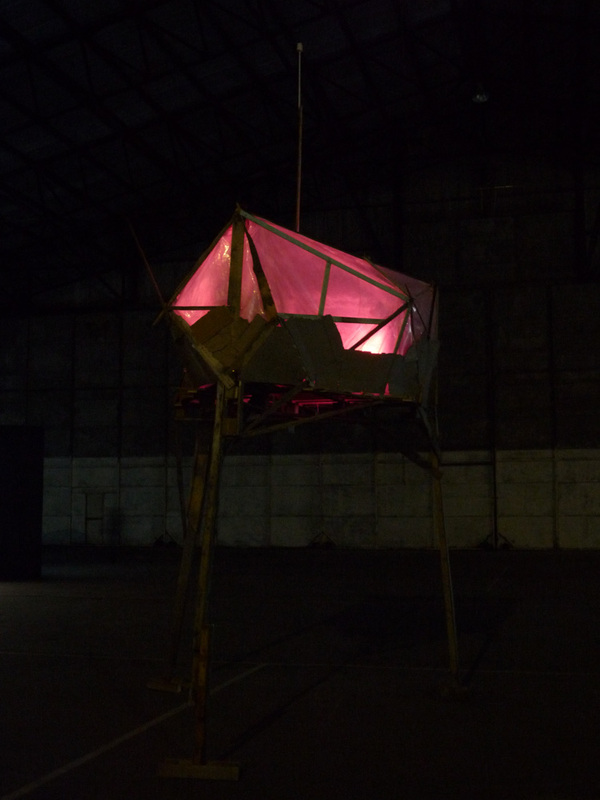 Originally the name of the work refers to BEAGLE 1 (HMS BEAGLE), the ship of Captain FitzRoy, (one of the inventors of the weather forecast) which brought Charles Darwin to Tierra del Fuego in 1832. And BEAGLE 2, an unsuccessful British landing spacecraft that was part of the European Space Agency’s 2003 Mars Express mission. It is not known for certain whether the lander reached the Martian surface; all contact with it was lost upon its separation from the Mars Express six days before its scheduled entry into the atmosphere. It may have missed Mars altogether, skipped off the atmosphere and entered an orbit around the Sun, or burned up during its descent. If it reached the surface, it may have hit too hard or else failed to contact Earth due to a fault. Beagle 2 was conceived by a group of British academics headed by Professor Colin Pillinger of the Open University, in collaboration with the University of Leicester. Its purpose was to search for signs of Martian life, past or present, and its name reflected this goal, as Professor Pillinger explained. 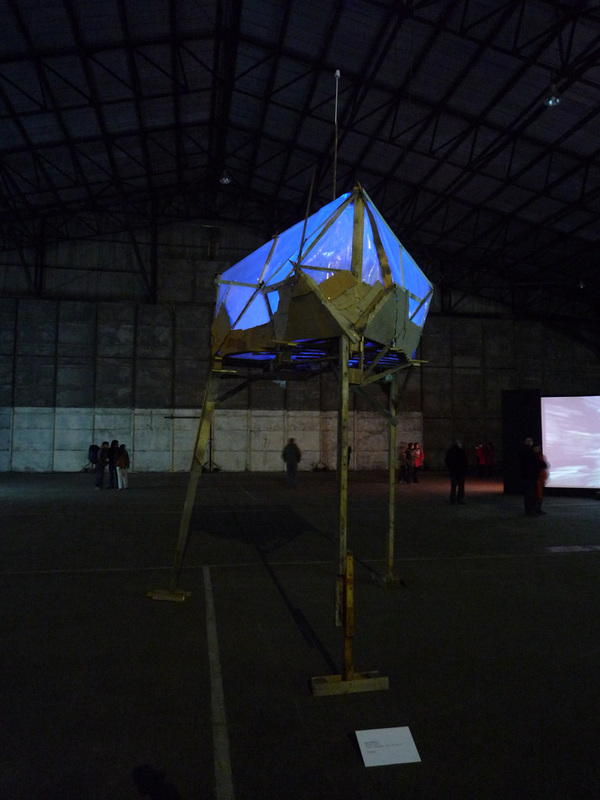 This video sculpture was developed as a site specific work for BIENAL DEL FIN DEL MUNDO, USHUAIA, 2009.